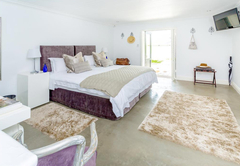 Brenaissance Wine & Stud Estate is one of the Stellenbosch guest houses and provides accommodation in 9 guest rooms for tourists visiting the Cape Winelands region. 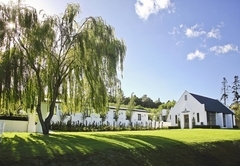 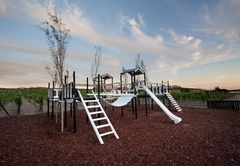 Situated in the secluded beauty of the Devon Valley at the heart of the Stellenbosch Winelands, Brenaissance Wine & Stud Estate incorporates several elements of agriculture, art, food, wine and hospitality to present to you a story of ‘New Beginnings’, diversity, sustainable methods and contrarian practices. 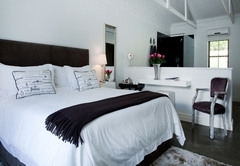 Brenaissance offers eight double Vineyard Suites and one Luxury Suite. 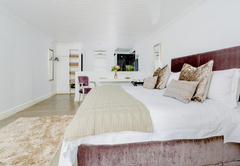 Each suite has been recreated through the restoration of original historic ‘dorpshuisies’. 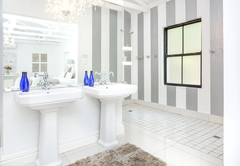 All units are tastefully decorated in a contemporary and simplistic style with polished floors, modern open-plan en-suite bathrooms and decorated in a monotone colour palate. 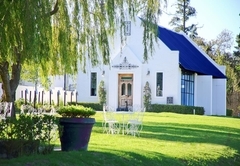 Rustic wood-oven pizzas, “family secret” cakes, award winning Brenaissance wines and craft beer are what they specialize in. 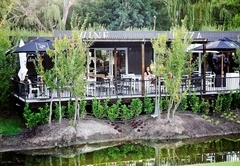 Pop down after work, for a family outing, a birthday celebration or a cappuccino break while on a cycle through the Valley. 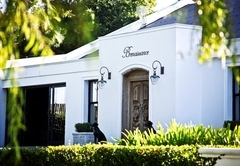 Enjoy their delicious Pizza and Wine pairing experience - interactively presented and exclusive to Brenaissance! 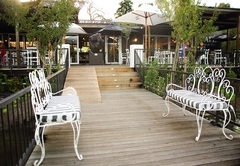 Without a doubt Brenaissance Café Blanc de Noir is the new place to hang out, chill out and eat out. 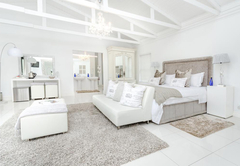 Offering 8 elegant Vineyard suites, each comes equipped with modern furnishings, tea and coffee station, bar fridge, flat-screen satellite TV, hairdryer, air conditioning and an outside seating area. 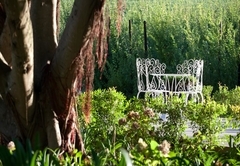 Beautiful views from the rooms of mountains and vineyards. 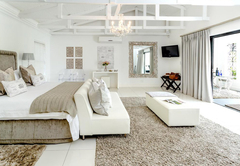 Our Luxury Suite is a step-up in size and offering from our Vineyard suites. 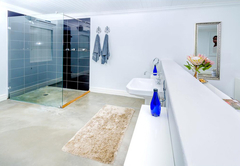 Perfect for a romantic get away, this stand-alone unit is well appointed and has the luxury of both a slip-bath and double shower coupled with a lounging area and private covered patio. 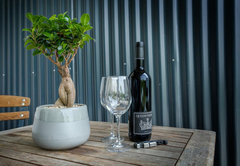 Response timeBrenaissance Wine & Stud Estate typically responds to requests in 5-10 minutes.